This one unfolded before your very eyes, as it were. It started in mid-September last year. On a whim, one idle Tuesday afternoon, I checked a site I hadn’t in a while, Audifans.com, the hub for most transactions involving older Audis. It was innocent enough; I just wanted to do some window shopping, but as often happens, a seed got planted in my brain during the process. It burrowed into fertile ground—I have an enduring affection for older 5-cylinder Audis; I owned an ’86 4000 quattro for a couple of years and was very interested in purchasing a ’90 200 Turbo quattro in the process that ultimately resulted in the acquisition of my BMW 525. So the gears started turning, and I discussed my ruminations with my wife. She wasn’t very keen on the idea—she loves the BMW—but was willing to go along with it in the spirit of compromise, with the understanding that she did have to be at least okay with whatever vehicle I settled on. With her half-blessing, I resumed my participation on the Audi 200 e-mail list and put out a feeler for anyone looking to sell. 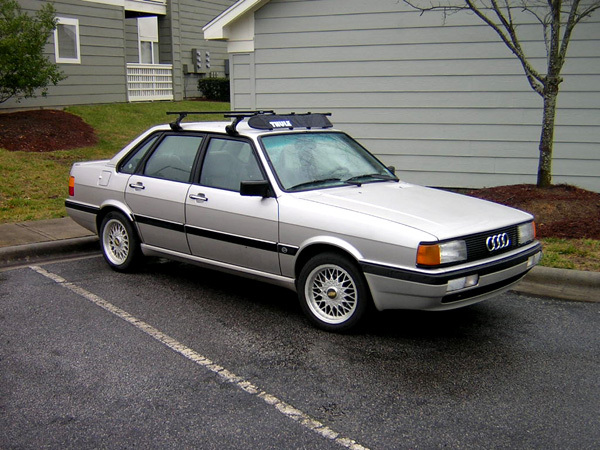 I knew exactly what I wanted: The 20-valve, turbocharged iteration of the Audi 200, a flavor imported to the US for only one year: ’91. I love the engine, the bodystyle and its non-conformist cool, among many other attributes. The 200q20v, as it’s known, is rare, comfortable, well-appointed, equipped with a manual gearbox, attractive in an understated way and capable of a startling turn of speed with a few basic bolt-ons. It was The One, sellers were coming out of the woodwork; the stage was set for a fast pick up. Only…it wasn’t quite so simple. One wrench in the works was my BMW. It had never excited me in the way a 200q20v would, but it remained an excellent car, reliable, capable and an absolute dream to drive, so fluid and sure-footed in all its movements. Whatever I acquired would have had to at least match it in terms of overall condition, a tall order for the crop of 20-year-old cars I was investigating. 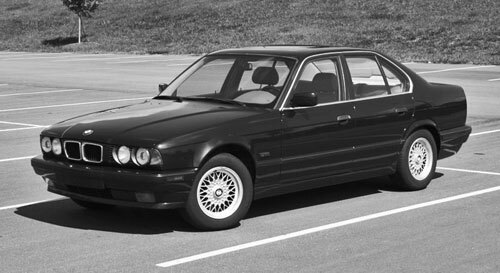 And not only was the 525 a tough act to follow, its previous—and first—owner is a neighbor of my parents, a good friend and very “interested” in my ownership of the car in the sense that I pledged to keep it for some time and take good care of it. Now, I know fundamentally that the car is in my name, and I’m autonomous, but there had been some car transactions in years past that had left a very poor taste in my parents’ mouth, and selling the BMW after having owned it for less than two years would have been very, shall we say, frustrating for them. I’m an independent agent, but my decisions do affect others, I agonized quite a bit over whether it was worth disappointing my parents and their neighbor in pursuit of a car whose purchase I really couldn’t rationally justify. In the meantime, I started narrowing down my leads. The one I was most drawn to is the example pictured in this post: an Alpine White ’91 200 Turbo quattro Avant (Audi’s word for a wagon). It was in pristine shape for its age, and had had every possible wear item replaced recently—and in many cases not just replaced, but upgraded with a higher-quality piece. The interior (including the headliner) was in fantastic shape, compression and power were dyno-checked and factory-spec, and the car was completely rust-free. It was on the other side of the country—admittedly an issue—but the seller’s price was eminently fair, and he would include boxes and boxes of spares he had accumulated over the years. It was a great deal. My only reservations about the car were its color and bodystyle. 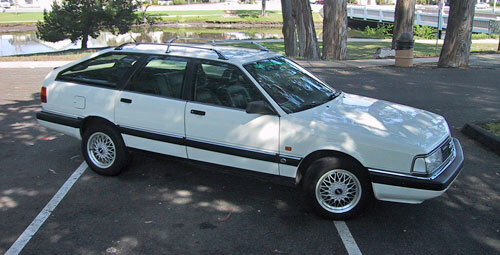 My wife hates white cars, and I’m not the biggest fan of the color either, especially on a mid-’80s-to-early-’90s car with the fashionable large black trim strips running down its flanks. And while I remain a fan of the Audi 200’s sedan shape, try as I might (and I tried), I never could warm up to the wagon shape. 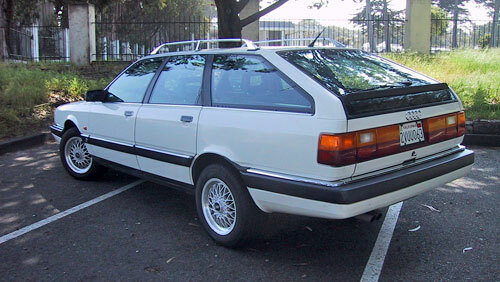 The angle of the tailgate was unique, and I liked that, but the rear overhang really was excessive, and the rearward extension of the roof killed the sedan’s appealing “wedge” profile. I just couldn’t get used to either attribute, but was willing to live with them given the car’s other qualities. And then the brainstorm rolled through. All my internal conflict, all my hand-wringing over the potential response of my parents and their neighbor and the fact that I felt like I was being pulled inexorably toward the Audi’s purchase, and I could never feel satisfied with my BMW—it all came into focus. I finally understood what was driving me against my good sense to make a poor decision: It was the tension between my need to turn a wrench and the fact that the restoration of my Datsun 240Z project car seemed like an unobtainable goal, detailed in this post. It was a revelation. With my newfound clarity, I decided to forgo the Audi 200 purchase. It was difficult—I still have a great deal of affection for the car—but I wrote the seller and explained the situation as best I could. He was keen on selling it, so I do hope he was able to use some of the information and photos he passed on to me in service of a sale to another worthy owner. Who knows; I may own one yet. But the Z comes first. I think you’re right. Had I known then what I do now, would I have gone through as many cars? Who knows… I do still wish I had finished the Supra, though. Miss that car. It’s funny; I confided my reservations about the Avant’s appearance to another enthusiast, and he agreed with me that he too had never really been able to get used to its looks. So it wasn’t just me. Rare, too. Only 149 Avants were imported with the 20v engine. Eh. Maybe one day. I used to won a 91 200 20v sedan. Best car I ever owned until the guy at the emissions station put the front wheels on the dyno and blocked the back wheels. Destroyed the transmission. They bought a new one, but it was never the same, and ended up going out again. I agree the avant is interesting, but not good looking. I just bought something similar a 95.5 S6! yeah, they somehow missed the drivelines, quattro badges and the Quattro a foot high in the rear window defrosting lines. The S6 is a Sedan. After my allroad I have really come to appreciate the trunk….and I have a 97 Land Cruiser for the bulky items. Good for you. 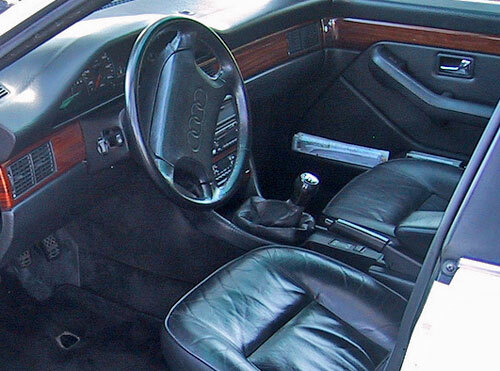 I’ve had visions of tooling around in a built UrS6 Avant… Talk about a cruise missile. Do you have mod plans for yours or will you leave it stock? I bought a 1994 S4 parts car with RS2 exhaust manifold, Garret hybrid turbo, RS2 injectors, and a chip. Plan is to move those over to the S6….we will see how that goes. Fun stuff. :) Appreciate the compliment and the comments!